This article suggests that integrating Jewish texts and practice into Jewish service-learning (JSL) programs deepens and enriches the experience of participants during the program itself, while also providing participants with the tools and inspiration to continue to develop their Jewish, service, and justice identities. Drawing from examples from JSL programs, this article describes models for integrating Jewish texts and practice into the life of a JSL program. A recent report commissioned by Repair the World concludes that most Jews between the ages of 18 and 35 volunteer, but that only a minority connect their volunteerism to Jewish values (Chertok et al., 2001, p. 40). This finding highlights an enormous missed opportunity to help these young people connect Judaism with engagement in the world. In this article we argue that JSL programs that seamlessly integrate Jewish learning and practice have the potential to enable participants to find more meaning both in the service work and in their Jewish identities. Drawing from our professional experience in the field of JSL and from anecdotes shared by colleagues, we offer examples of how this integration can be accomplished to enrich the experiences of participants and guide them toward a lifetime commitment to service and justice. Although this article focuses on the impact of Jewish learning and life on participants in JSL programs, we cannot lose sight of the fact that service-learning programs always have two key groups of stakeholders—those who serve and the community being served. A successful program must consider the needs of both. From the perspective of the community being served, this means that the service project itself must respond to a real need in the community. In a broader perspective, meeting the needs of the community also means helping the participants commit to a long-term engagement in the issues they encounter during the course of the service-learning experience. A program with the sole goal of Jewish identity-building does a disservice to its participants by trivializing service and by disrespecting the needs of the community being served (“Not Only for Ourselves,” 2009; Stoeker, 2009). We begin with the assertion that a major goal of JSL is to develop within participants a lifetime commitment to service and justice that is rooted in, and enriched by, deep engagement with Judaism and with the Jewish community. Effective service-learning programs—whether explicitly Jewish or not—include an educational component that places the service project in a broader context. This educational component goes beyond the confines of a curriculum. Learning may happen through formal study, informal conversation, meetings with members of the community being served, and reflection and community-building activities, all of which are designed to promote the intellectual and emotional growth of the participants. 1. Participants experience Judaism as relevant. Making Judaism an integral part of the service experience communicates to participants that Judaism is a relevant lens and framework for understanding their experience. This discovery both enhances the service experience itself and opens participants to the possibility that Judaism can be a source of wisdom and meaning in other areas of their lives. Jewish texts, integrated into the educational curriculum, provide wisdom and insight into the urgent ethical questions that the service experience provokes. Similarly, incorporating Jewish rituals such as blessings and prayers into the service-learning program provides language and a context for exploring the spirituality of service and for maintaining the connection to one’s spiritual insights after the program has concluded. 2. Participants feel part of Jewish history and community. The integration of Jewish texts and practice into a JSL program situates the experience in a broader historical and communal context. For example, rather than simply spending a week serving a low-income community, participants on an Alternative Break program become part of the historical narrative of Jewish social justice activists who fought for safe working conditions in the labor movement of the 1910s and for racial equality during the civil rights movement. Participants also experience themselves as part of a contemporary Jewish community that values the work they are doing as an expression of Jewish values. The connection to Jewish history may be especially important for participants who do not primarily connect to Judaism through learning and ritual practice. 3. Participants gain the tools to connect service/social justice to Jewish ritual. Much of Jewish life—whether in the home, campus, or synagogue—revolves around ritual practices such as the Passover seder, Chanukah candle lighting, and Yom Kippur services. Integrating Jewish practice into service-learning programs gives participants the experience and tools to connect these Jewish rituals to service and social justice. This can enable participants to use these ritual moments as an opportunity to recommit to their social justice values. 4. Participants can help advance the social justice agenda in the Jewish community. The integration of Jewish life into service-learning programs can also help advance the social justice agenda within the Jewish community. When participants can articulate why social justice is a Jewish value, they will be better able to advocate for weaving justice and service into Jewish communal life. 5. Participants can represent the Jewish perspective on justice in an interfaith context. Through their JSL experience, participants develop the skills to speak about their own Judaism and their own commitment to service within an interfaith perspective. Christians and members of other religious groups often freely share why and how their own faith has brought them to service. Jews tend to be more hesitant to do so. Through integrating Jewish learning and life into the service-learning experience, participants can gain the language to speak proudly about Judaism and about the Jewish passion for creating a better world. 6. Participants can participate in pluralistic Jewish community. The integration of Jewish learning and practice into the service-learning experience makes these programs accessible to the entire Jewish community. Particularly in the context of immersive service-learning programs, guaranteeing a ritual baseline of kosher food and observance of Shabbat allows people who practice these rituals to participate. This does not mean that programs should require that all participants adhere to a “frummest common denominator” in communal rituals. On the contrary, designing programs so that traditionally observant Jews can participate affords an opportunity for the creation of an intentionally pluralistic Jewish community that is united around its commitment to social justice. Because service-learning programs represent one of the few venues in which Jews of many different backgrounds come together for a common cause, these programs can also be fertile ground for learning to create pluralist communities. In much of Jewish life, ritual and learning stand apart from service. Prayer happens on Friday nights or Saturday mornings. Learning takes place in the evening. Service is a Sunday afternoon activity or a week-long event separate from “regular life.” Service-learning programs—whether short immersive experiences or longer part-time programs—offer an opportunity to try out an integrated Jewish life in which service, prayer, and learning all happen together in such a way as to complement and sustain one another. As discussed earlier, this integration is key to the success of the service-learning program insofar as Jewish language and practice help participants to make meaning from their experiences. The service-learning experience also becomes a model for developing an integrated Jewish life beyond the confines of a single program. Creating an integrated experience involves bringing learning, prayer, and ritual practice into the service experience, while simultaneously bringing the service experience into learning, prayer, and ritual practice. Through this approach, participants can begin to see Judaism as a meaningful mode of being in the world. Such integration is possible only if the service-learning leaders and the organization or institution sponsoring the program truly believe that learning, ritual, service, and justice all constitute essential and complementary parts of a Jewish life. If the participants sense that the leaders themselves do not consider the learning and practice to be central to the experience, or that the leaders view the service itself primarily as a mechanism for promoting other kinds of Jewish engagement, then the participants themselves will be unlikely to view the service/justice work, ritual, and learning as elements of an integrated Jewish life. In the following sections, we discuss ways to integrate into JSL programs four types of Jewish learning and ritual: text study, prayer and blessings, Shabbat, and kashrut. In most service-learning programs, whether immersive or long-term, the group studies Jewish texts that, in some way, speak to the service experience. When done well, text study allows participants to discover new perspectives on the work they are doing, connect more deeply to their Jewish tradition, and find their own place within this tradition. However, when done superficially, text study may only reinforce the sense that Judaism has little to contribute to contemporary debates or to the participants’ own lives. We understand “text” broadly to encompass legal and narrative material from classical to contemporary times, historical primary and secondary sources, as well as nonliterary material such as photographs, images, and songs. A JSL curriculum should therefore include a range of sources, such as excerpts from the Torah, Talmud, Midrash and corpus of halachic literature; medieval Jewish philosophy; modern Israeli poetry; articles in Jewish newspapers and journals; photographs of Jews in the labor movement; sermons of American rabbis during the Civil War; and memoirs of Jewish social justice activists. In advocating for the inclusion of Jewish texts in JSL curricula, we acknowledge that Jewish literature includes myriad Jewish texts—some of which are likely to support the social justice agenda of a service-learning program and some of which probably conflict with that agenda. We suggest an approach to Jewish texts that includes more than the texts that perfectly align with the agenda of the program. Cherry-picking is not only disloyal to the Jewish textual tradition but is also a poor pedagogical choice because it provides participants no chance for struggle. The experience of engaging with text will be richest if the texts themselves provoke discussion. This means selecting texts that challenge, that offer varying perspectives, and that represent a range of time periods and perspectives. For example, in a lesson on power relations, the Jewish Funds for Justice service-learning curriculum includes a talmudic story about power relations among the rabbis, an excerpt from a seminal sociology article about modes of citizen participation, and a few paragraphs from the autobiography of Rose Schneiderman, an early-20th-century Jewish labor leader (Jacobs et al., 2009, pp. 82–84). All of these texts grapple with the questions of how power operates in societies and of how people with fewer resources can access power. Yet each text speaks from a different perspective and in a different genre. By facilitating a conversation using these texts, along with the participants’ observations about power in their lives and in the service experience, service leaders can help participants simultaneously make sense of their experience and place this experience within the context of Jewish conversations that stretch across thousands of years. Text study succeeds best when the leaders use the texts to open up conversation rather than shut it down. For example, in its unit exploring the relationship between participants and members of the host community, the American Jewish World Service (AJWS) service-learning curriculum, Expanding the Universe of Obligation: Judaism, Justice and Global Responsibility, includes the talmudic story that contrasts the actions of Mar Ukba, who gives tzedakah anonymously, with those of his wife, who gives directly when people come to her home. This text is often facilitated as a “tap-out-tap-in” dramatic conversation in which participants play the roles of Mar and Mrs. Ukba and debate with one another the ideal relationship between the giver and the recipient (American Jewish World Service, 2009, pp. 5-36–5-37). The text itself is ambivalent about the ideal relationship between giver and receiver; the use of drama to draw out all sides of the question emphasizes its inconclusive nature. Through this exercise, participants learn that Jewish texts can help them refine their ideas and perspectives rather than dictate a monolithic approach. This mode of text study differs from an approach that looks to Jewish text only to affirm the service work. Sometimes, the service leader fears bringing in any texts that the participants may not like or that do not automatically justify the work that the participants are doing. For example, in the context of volunteering in a food pantry, the service leaders may bring a series of texts about the responsibility to feed the poor. Although these texts may make participants feel good, the learning experience will ultimately feel shallow. Participants can understand on their own why feeding the hungry is important and therefore may conclude that Judaism offers nothing but platitudes. Such text studies often lead to responses like, “I just need to be an ethical person. I don’t need Judaism.” In contrast, inviting participants to reflect on this statement of Rabbi Nathan the son of Abba, quoted in the Talmud—“Anyone who depends on another’s table, the world is dark for him” (Babylonian Talmud, Beitzah 32b)—challenges participants to imagine the emotional impact of depending on a food pantry to feed one’s family. 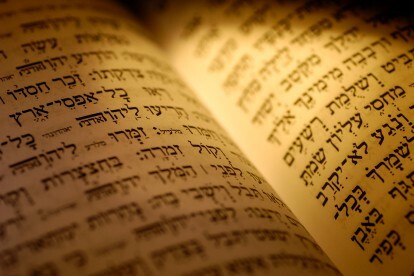 This more layered approach to text study asserts that Judaism contains thousands of years of wisdom that continues to shed light on contemporary questions. This is not to say that service leaders should look for the hardest texts possible. In some cases, the value of a text may be overshadowed by problematic issues that it raises or by the complexity of the concepts included. A text that feels so offensive that it is likely to alienate participants or one that requires extensive background knowledge of Hebrew or Jewish legal concepts may present such a block to engagement that it becomes difficult to extract any useful educational content from its use. For example, in the lesson on power relations, the curriculum could have included any number of texts that deal with the imbalance in gender relations in traditional Judaism. However, it would be impossible and dishonest to discuss such texts outside of a specific conversation about gender. Although gender differences must come up in any discussion about power, a text that, for example, discussed Jewish divorce proceedings would most likely lead only to a conversation about the specific legal issue at hand and would be hard to apply to power differentials that affect low-income communities. We learned that many of us had English names as well as traditional names. . . We learned about the hopes and dreams of these young people. As the session closed, we spoke about the “name” that our respective peoples want to be known by. You could feel the Jewish young people beginning to step up to their responsibilities as ambassadors of the Jewish people (Kimelman-Block, 2010, p. 26). The examples above come from short-term immersive service experiences. In the context of a service-learning experience in a day school, supplementary school, camp, or other program with long-term curricular goals, there may be even more opportunities throughout the year to root the service-learning experience in the curriculum and vice versa. For example, if the students are studying the book of Genesis, the teacher may draw particular attention to the series of famines that take place in this book, using them as a jumping-off point for students to investigate and address hunger issues in the contemporary world. In the context of a history class studying Jewish immigration, students may interview contemporary immigrants and volunteer with an organization that serves immigrants. In addition to texts, Judaism also teaches important concepts and values that provide impetus for social justice work. For example, the Jewish value of mitzvah—commandedness—suggests that we have responsibilities and obligations to respond to the needs of others. The concept that all humans are created b’tzelem Elohim—in the divine image—offers grounding for the pursuit of equality and dignity for all people. JSL curricula should include explorations of these concepts and values, using the Hebrew terms, so as to infuse the learning with Jewish language and ethos in addition to content. Finally, the tradition of Jewish study further provides educational modes that can greatly enrich the learning experience. For example, chavruta is a dynamic learning mode in which two participants jointly work through a text, simultaneously learning from and teaching one another. The tradition of text study itself encourages critical engagement with a variety of perspectives that often disagree with one another. Utilizing these educational modes—and identifying them as particularly Jewish approaches to learning—further supports the creation of an atmosphere in which Judaism is experienced as a fully integrated, definitional aspect of the program. Prayer and blessings have the potential to add meaning and intention to nearly every aspect of life—from eating to interacting with nature to marking the passage of time. These practices provide a spiritual and emotional means of processing the service-learning experience and of building community among participants. Many of these practices have rich and complex connections to social justice values. Drawing out these values also allows participants to connect more deeply to Jewish rituals in other areas of their lives. Integrating such ritual practices into the service-learning experience means both referencing the service experience within the context of ritual practices, and including ritual practices in the service experience. For example, in September, 2011, Rabbis for Human Rights-North America brought fifteen rabbis and two rabbinical students to Immokalee, Florida, to meet tomato pickers organizing to secure fairer wages and safer working conditions. After a day of hearing about the difficulties and dangers of tomato picking, the rabbis visited a farm belonging to a major agricultural company whose Jewish owner had agreed a year before to the workers’ demands. The owner spoke about his decision to sign an agreement with the workers the day before Yom Kippur in what he considered an act of teshuvah for his previous behavior. He pointed to the tree under which he had held a press conference announcing his decision to be the first owner to adopt the new working standards. Acknowledging this tree as sacred space, the group decided to pray the afternoon service under its branches. In the course of the service, the rabbis sang the line “pote’ach et yadekha u’masbia l’khol chai ratzon—open Your hand, and provide for the needs of each living creature,” while passing a tomato from hand to hand. The group also sang aloud the words, “v’ten brakha al p’nai ha’adama v’sabeinu mituva—grant blessing on the face of the earth, and we will be satisfied from its goodness,” to a plaintive tune. In the course of the service, the leader and others offered kavvanot (intentions) linking parts of the service to the experience of being with the tomato workers. Later, the rabbis turned their prayers into action by staging a prayer circle in a grocery store targeted by the workers’ committee (anecdote related by Rabbi Jill Jacobs). A group of rabbis is certainly more inclined to connect to a mincha service than a group less accustomed to praying. However, not all of the participants in this prayer service were rabbis. Two post-college Jewish interns who happened to be working in Immokalee and who spent the day with the rabbis commented afterward that this was the first time that their social justice commitments connected to their Judaism. The non-Jewish partner staff and the tomato workers, who prayed with the group, spoke of the power of connecting prayer to their experiences. Even a group less accustomed to traditional prayer might learn a beautiful tune for a relevant line from the liturgy, begin the morning or end the evening by singing it, and return to the melody at appropriate moments during the service experience. Reciting blessings also offers an opportunity to bring ritual to the service experience and vice versa. On many immersive service programs, a member of the group will offer a kavvanah (an intention) before saying hamotzi (the blessing over bread) for each meal. These kavvanot tend to focus on the labor required to bring food to the table, on gratitude for abundance, and on the responsibility to ensure that others enjoy the same abundance. These short kavvanot can provide an opportunity for participants to struggle with conflicting feelings of gratitude and guilt that often accompany an encounter with a community with less wealth and privilege. They also allow group members to experience a moment of mindfulness before eating and to see blessings as tools for reflection. Blessings may also be brought directly into the service experience. Although Judaism traditionally does not call for reciting blessings before engaging in service or justice work, there is a tradition of personal and communal petition. Prayers for healing and for the welfare of the community and the country are key parts of the Shabbat service. In the context of a service experience, some groups find meaning in composing their own prayers on behalf of their community or the community in which they are working, or in reciting kavvanot for the service experience. For example, participants in the service projects at the Jewish Federations of North America’s General Assembly in New Orleans in 2010, were encouraged to recite the following verse from Psalms as a kavvanah before engaging in their service project: “Vi-hi noam Adonai Eloheinu aleinu u’ma’aseh yadeinu konenah aleinu u’ma’aseh yadeinu koneneihu—May God’s favor be upon us; let the work of our hands prosper; O prosper the work of our hands!” (Psalms 90:17; Jewish Social Justice Roundtable, 2010). To facilitate integrating blessings into service learning, Jewish Funds for Justice has published “The Work of Our Hands,” a booklet that contains traditional and contemporary blessings and prayers together with kavvanot and interpretations that link these blessings with the service experience (Jacobs, 2009). Nonverbal rituals find their place in service-learning experiences as well. On one Hillel-sponsored immersive service-learning program in Biloxi immediately after Hurricane Katrina, students rode to the service site each day along a highway littered with the remains of destroyed homes and boats. The students decided to maintain silence as they passed through this area of destruction. Although the students themselves did not identify this as a Jewish ritual, the service leader could easily have helped the students to reflect on this spontaneous ritual within the context of the Jewish use of silence as a technique for prayer. A group doing service during the month of Elul, leading to Rosh Hashanah, might blow a shofar to herald the beginning of its service. Some group leaders use niggunim (wordless melodies) to begin or end the service work or to guide the group through transitions. In their efforts to integrate ritual and learning into service, Jewish programs have much to learn from the service-learning programs of other religious groups. At Benilde-St. Margaret’s, a Catholic middle and high school near St. Paul, MN, each academic department is responsible for coordinating one mass and service project each month. In Sue Cipolle’s French class, reading the novella, Carmen, prompted a discussion about violence against women. The students decided to learn about domestic violence in St. Paul and Minneapolis, reported back on their findings (in French), met with representatives of a local domestic violence shelter, and studied Catholic social teachings related to violence against women. When it was the French department’s turn to lead mass, the students used this service to teach their classmates about violence against women and to collect donations for the shelter. In this way, students met their academic goal of learning French, while also finding religious and social meaning in their studies and contributing positively to their community in the process (interview with Sue Cipolle, February 2011). In Jewish life, Shabbat provides an opportunity for rest, reflection, and community-building. Within the context of service-learning programs, particularly immersive ones, Shabbat can also become a vehicle for exploring how to build a sustainable long-term commitment to service and justice. The first step in bringing Shabbat into service-learning involves framing the day through the perspective of social justice. In this regard, the biblical explanations for Shabbat prove immensely valuable. The Torah offers two rationales for Shabbat. First, in the biblical account, God created the world in six days and rested on the seventh. As partners in the divine creation, human beings also spend six days trying to repair the world—and making many mistakes along the way—and then devote one day to enjoying the world as it is. The traditional restriction on creating or destroying anything on Shabbat also provides a modern environmental lesson on reducing our impact, at least one day a week. The second biblical rationale begins with the story of the exodus from Egypt. Slaves have no control over their time and must work seven days a week if their master desires. In contrast, free people have the power to set aside one day a week for personal and spiritual fulfillment. The biblical laws of Shabbat apply to every member of our community—whether Jew, non-Jew, man, woman, child, or even animal. Shabbat therefore offers a chance to talk about guaranteeing every member of society, no matter his or her social or economic status, the chance for rest and renewal. Most Alternative Break programs conclude with Shabbat. Groups not accustomed to observing Shabbat sometimes react negatively to the realization that they will be spending a full day not working. Some object that they have only a short time to do service and so can ill afford to “waste” a day. Shabbat can guide these participants to think about their service and justice work as a lifetime commitment, and not a short-term one. In a lifetime of service and justice, one must find time to rest or risk burning out and giving up altogether. Many participants will be secretly relieved to have a day off after a week of manual labor or other hard work. On Shabbat, participants can reflect on the experience of working hard for a week and then at last getting the chance to rest. Shabbat programming may include blessings, prayers, and kavvanot that help participants to process the service-learning experience; time for reflection and study; and community-building activities. These practices reinforce the message that Shabbat is an essential part of the service-learning experience, not something added on at the end. Shabbat may also allow a chance for participants to host members of the community in which they serve. Sharing a meal and exploring one another’s traditions can contribute to building community between the service participants and representatives of the service site. The observance of kashrut offers opportunities multiple times a day to attain mindfulness around eating and to cultivate sensitivity about where food comes and what is in it. Contemporary innovations in kashrut observance such as eco-kashrut (which focuses on the environmental impact of different foods) and ethical kashrut (which focuses on ethical treatment of animals and workers involved in food production) have explicitly connected the practice of kashrut to social justice. Immersive JSL programs—particularly ones in which the service connects to environmental issues or any aspect of food production—can use the observance of kashrut as an opportunity to connect meals and eating to social justice issues. However, kashrut observance can also present challenges in the context of the service-learning experience, particularly in an international context. Kashrut observance can mean that participants do not have the opportunity to sample local food, an important aspect of experiencing local culture. Kashrut observance often requires that participants eat separately from the host community or that the host community go to great lengths to accommodate the dietary needs of participants.1 Because sharing food and meals is often a culturally important means of building relationships, kashrut can present challenges to cross-cultural communication and relationship-building. This does not mean, however, that kashrut should be ignored. Instead, explicit discussions of kashrut and its implications can provide participants with an opportunity to explore the impact of their presence in the host community and the importance of sensitive cross-cultural communication. Observance of kashrut can be connected to service and social justice in several ways. Kavvanot can be offered at mealtimes that relate kashrut to awareness of the ingredients in the food and their ethical and environment impacts. Participants can be encouraged to ask members of the host community about their culturally specific foods and teach them about kashrut as a means of cross-cultural dialogue and sharing. If a group is bringing in its own food or having food prepared specially for them, they can take the opportunity to invite members of the host community to share a meal and reciprocate the kindness of hosting. In this article, we have argued that the seamless integration of Jewish learning and ritual into JSL programs can make the experience more meaningful for participants, can deepen participants’ connection to Jewish life and community, and can lead participants toward a lifetime of doing service through Jewish communities. We also believe that the Jewish community as a whole will be enriched by the infusion of a generation of service-learning volunteers because service, justice, Jewish learning, and ritual practice form integral parts of a complete Jewish life. Lisa Exler is a senior program officer in the experiential education department at American Jewish World Service. Rabbi Jill Jacobs is the Executive Director of T’ruah: The Rabbinic Call for Human Rights. This article is distributed with the permission of the Jewish Communal Service Association, publishers of The Journal of Jewish Communal Service, and also appears on RepairLabs. Chertok, F., Gerstein, J., Tobias, J., Rosin, S., & Boxer, M. (2011). Volunteering + values: A Repair the World report on Jewish young adults. New York: Repair the World. Jacobs, J. (2009). The work of our hands: A book of blessings for service and social justice. New York: Jewish Funds for Justice, 2009. Jacobs, J., Rabkin, N., Stein, M., & Beran, J. (2009). Service and learning travel programs curriculum. New York: Jewish Funds for Justice. Jewish Social Justice Roundtable. (2010). Heart, head, hand: The value of Jewish service learning. In Praying with our legs: Celebrating a day of service with the Jewish Social Justice Roundtable. New York: Jewish Funds for Justice. Kimelman-Block, J. (2010, Fall). Service learning or surface learning? Providing meaningful text study in community service programs. Hayidion. “Not Only for Ourselves.” (2009, December 1). The Jewish Daily Forward. Retrieved from http://www.forward.com/articles/120018/. Stoeker, R. (2009). The unheard voices: Community organizations and service learning. Philadelphia: Temple University. 1 In AJWS’s service-learning programs, AJWS pays the host community to acquire dishes, utensils, and kosher food for the participants, but one could still argue that this is an additional cost of the program and an imposition on the host community.